Our compact series just keeps getting better and better! 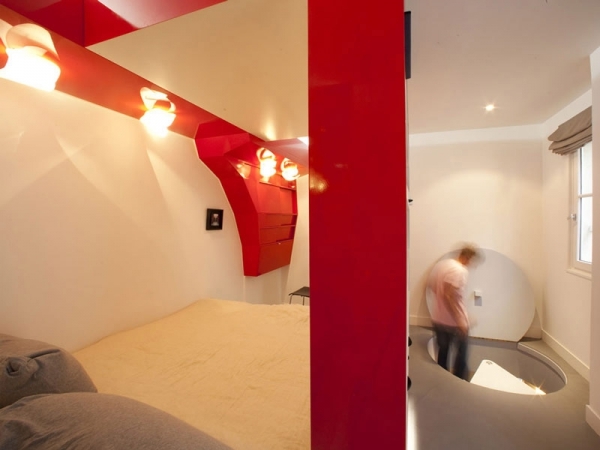 With today’s current designs, you no longer have to worry about feeling claustrophobic within your own living quarters. Not only that, but you can also enjoy marveling at a very stimulating and energizing color while you’re at it. 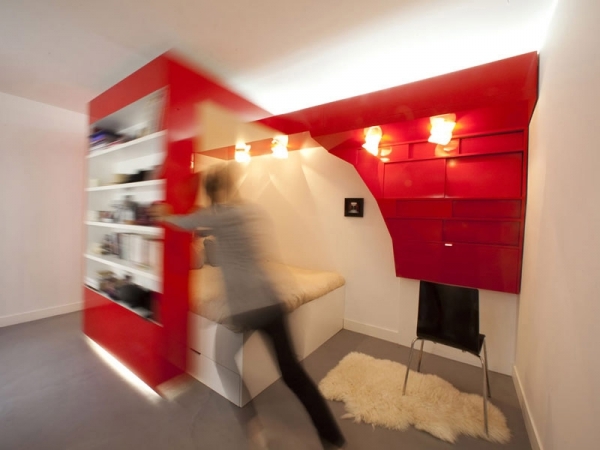 Your home should be a place where you can stretch, dance and move freely without any restrictions! And you don’t necessarily have to have a big house to make that a constant reality. 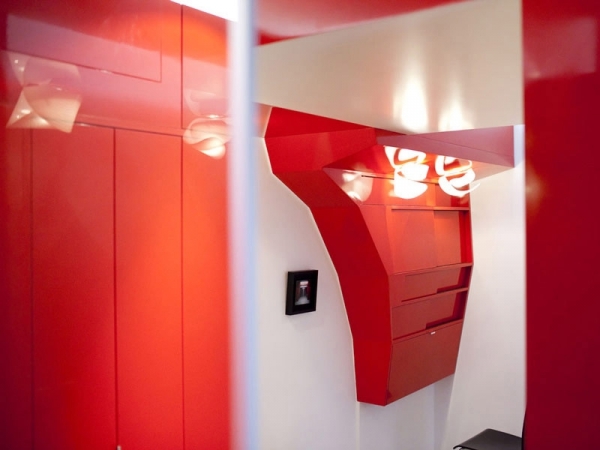 Utilizing only less than 300 square feet (23 square meters), this compact space design, called Red Nest, was created by Paul Coudamy. Coudamy is a Parisian designer who has managed to create a space that includes just the essentials in a pretty economic way. With a functional working area, bathroom, bedroom and dressing space, everything is integrated to help with another function. 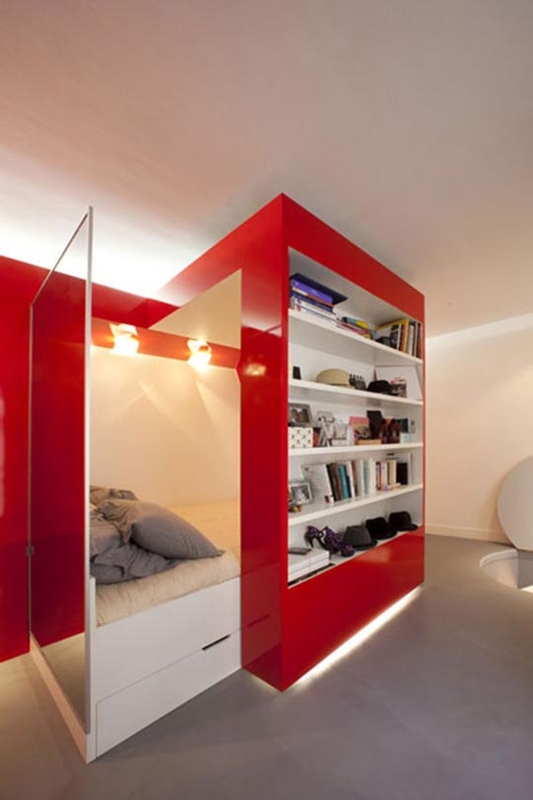 As an example, Coudamy refers to the bookshelf as “a mobile block that enables to control the opening of the bed.” He goes on to mention that “it’s U-shaped covers the bed and shapes the room by closing the dressing, the bed or the working space.” If you think that this compact space design doesn’t encourage privacy, think again! 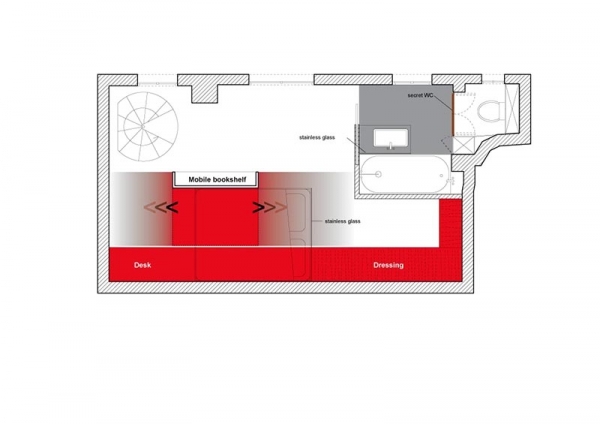 With special angling of its two-way mirrors, the bathroom area is concealed, along with giving the illusion of more space throughout the entire little home. 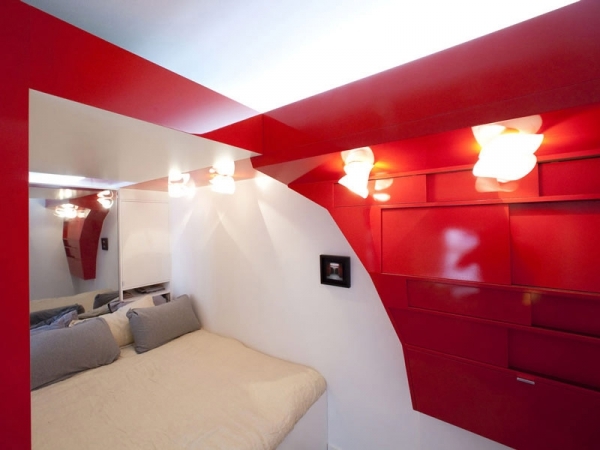 Choosing a place like this as your place of residence is like choosing a hot candy red convertible to travel around in. Only the best thing about this is that you can experience luxury right in the comfort of your home!